Donald Macleod charts William Byrd's rise from boy chorister at the Chapel Royal, where he met Thomas Tallis, to winning his first music director post, at Lincoln Cathedral. Donald Macleod looks at Byrd's early life. The celebrated composer began his career as a boy chorister at the Chapel Royal, becoming apprentice to its organist, Thomas Tallis, before winning his first music director post at Lincoln Cathedral. 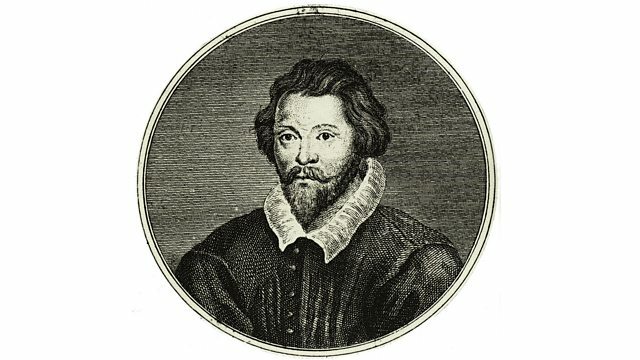 Religious intolerance cast a long shadow over the life and music of William Byrd. As a Roman Catholic in Elizabethan England, he was persecuted by the state and often forced to tread a dangerous path between his personal convictions and his duty to the Queen. His musical talent and his strength of character enabled him not just to survive, but thrive. Despite his trials he was, and continues to be, celebrated as the greatest British musician of his age. By the time he was twenty, Byrd had already served under four successive monarchs. He experienced first-hand how musicians were put at the front line in the battle of faiths, as Britain's rulers see-sawed between new Anglican religion and Roman Catholicism. Donald follows young William to his first proper job, at Lincoln Cathedral, where he composed for voices and instruments. At Lincoln he also converted to Catholicism, a decision that would profoundly affect the rest of his life. Performer: Steven Devine. Choir: Musica Contexta. Ensemble: The English Cornett and Sackbut Ensemble. Conductor: Simon Ravens. Performer: Rose Consort of Viols. Performer: Ryan Leonard. Ensemble: Fretwork. Choir: Magdalen College Oxford Choir. Conductor: Bill Ives.